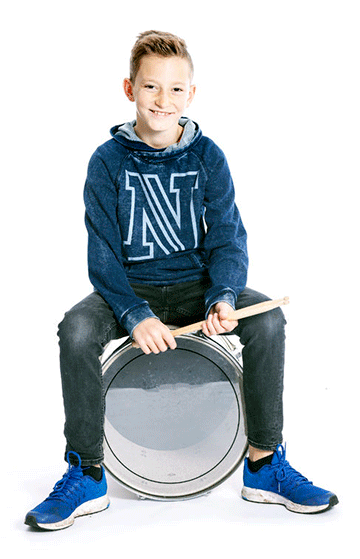 Drum lessons on the snare drum, the full drum set, mallet work and every other percussion element you want! Whether you want to learn your favorite pop song, prepare for your concert band or your marching band - our teachers are here to help meet your music goals in a fun and inspiring environment. 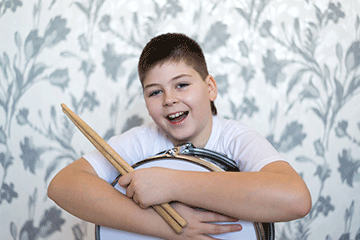 Students will learn the rhythmic patterns that will form the backbone of their drumming. 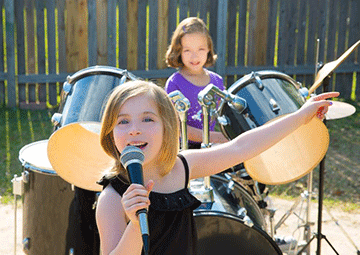 These rhythmic patterns morph into popular drum beats and before they know it - they’re rocking it! 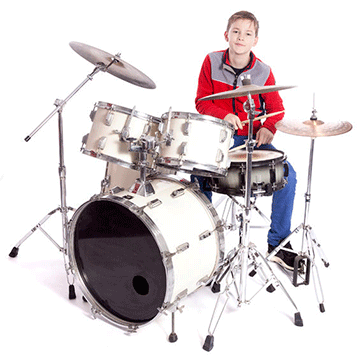 Students with percussion experience will learn a variety of technical exercises designed to improve their speed and form to attain their personal music aspirations. 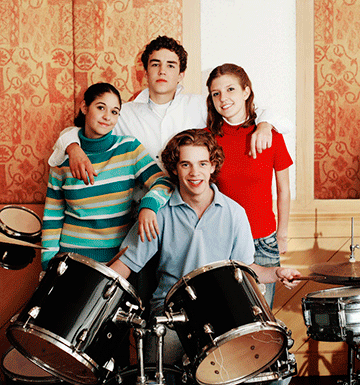 Our percussion teachers teach a variety of styles including jazz, rock, blues, latin, concert band and other pop styles. 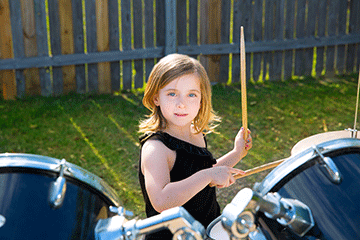 We balance musicianship and fun by making sure that each lesson you are challenged with a new technical or theory concept, but always finish with something fun such as your favorite drum beats or song. Sign up today to get started. Monday through Thursday 10:00 a.m. to 7:00 p.m.
Fridays 10 a.m. to 6:00 p.m.
A seven-year-old having their first guitar lesson will have very different needs than a fifty-seven year old taking up piano for the 2nd time after having had lessons as a child. We teach all styles from rock, pop, jazz, latin, country, blues and classical. Our instructors are highly qualified. They all have teaching experience, and most importantly, they have a passion for teaching. Being a musician doesn't automatically make you a teacher--that's why we search for those who are best qualified for mentoring our music students! Rates range from $135 - $450 monthly.